Custody can be used to store customer unconsumed product temporarily. This allow customer to redeem or claim it later on. 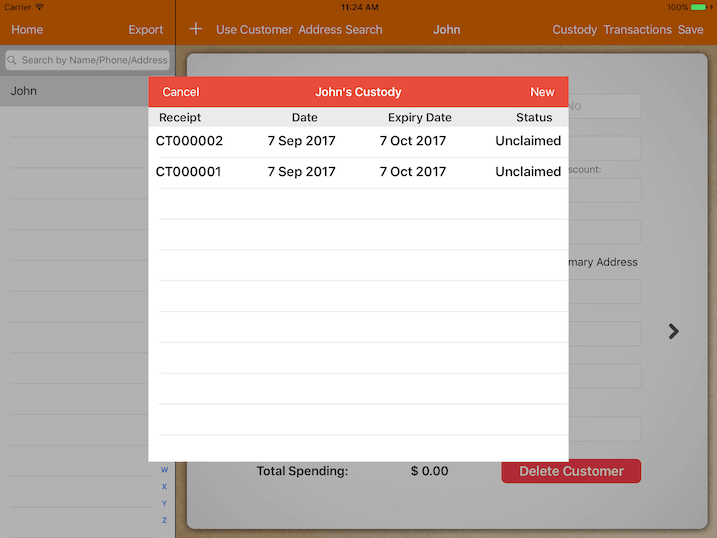 Create a new customer account or select existing customer account. Click Custody button on the right top and you will be presented with a list of unclaimed custody receipt. Click New to add a new entry. On the top search bar, you will need to search for item that you would like to store for this customer. Item name matching the keyword searched will be populated in the list on left. Click on it and define the quantity that you are storing for this customer on the right. 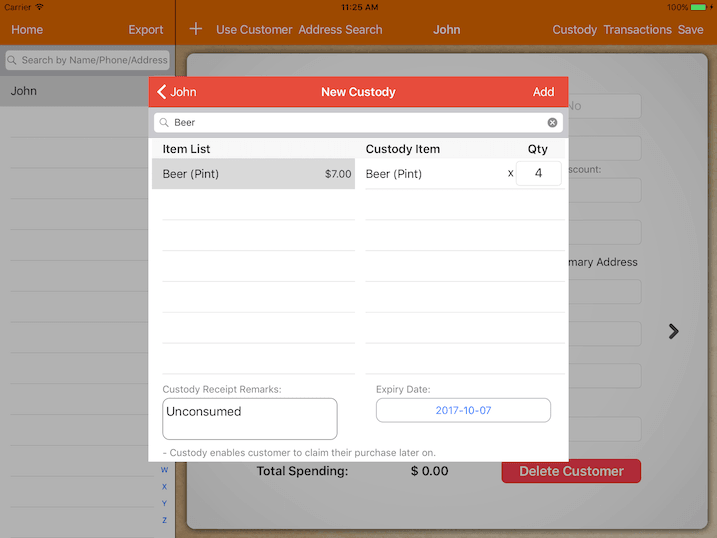 To remove item, simply swipe across the item and click Delete. * You can add as many item as you want as it is not linked with any actual transaction or receipt. It is optional to key in custody receipt remarks, however expiry date is compulsory. When customer comes back to claim their custody, you will need to search for it from customer's custody list. You will be presented with the list of item upon selecting the custody. Choose item to be claimed and click Claim to claim. If partial claimed is made, a new custody receipt with the leftover item will be created. Expiry date for this newly created custody will be the same as the previous. If all items are claimed, the custody receipt will be marked as claimed. 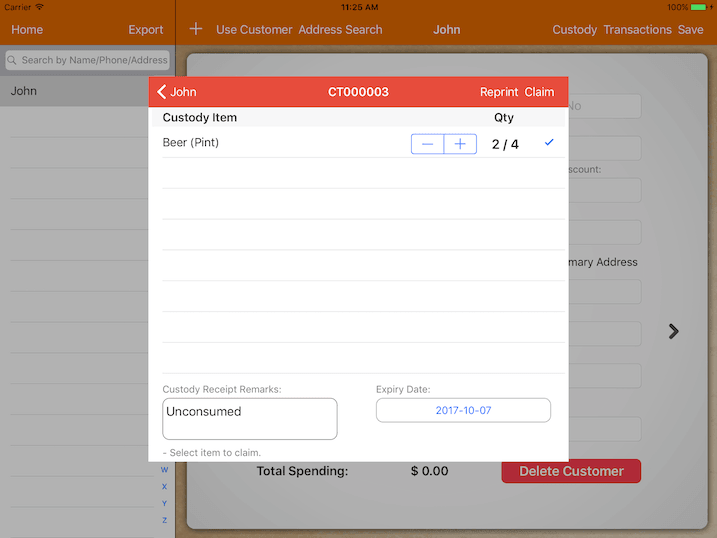 Generate a custody report under Reports to find out which customer's custody is about to expire.